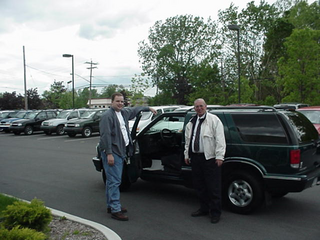 Album Description: Just some pictures Erin and I took of my 1997 Chevrolet Blazer. Shots taken the day I picked up the truck at the dealership. Images: 8. View: Sequential | Slide Show, delayed 15 sec, 30 sec, 45 sec | Thumbnails.